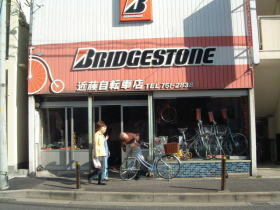 There are so many bike shops in Nagoya. Usually storekeepers are kind and take good care of your bike. KONCHO usually keeps 200 bicycles in their shop. If you are very tall, I recomend you to go this shop. ex. 27inch: lowest price is 9,800 yen, 11,800yen with 6 gears, 12,800yen with 3 gears. 28inch : lowest price is 11.800 yen / 12,800 yen with 3 gears. They also sell bike parts. Open: 9:00 a.m. - 7:00 p.m.